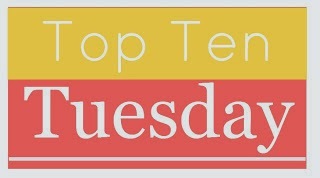 Wow, it's hard to believe that Top Ten Tuesday has been going for five years now. Happy Birthday Broke and Bookish!!! Unlike TTT, I haven't been blogging for all that long and so I haven't done as many top ten posts. But of the ones I have done, these have been my top favourites. Sorry, I only have seven this week! I love how this tag comes around every season. They bring lots of excitement because everyone gets to showcase their most anticipated books to be read. And when I visit other bloggers, I always end up walking away with books to add onto my TBR list. However, doing the seasonal TBR tag also brings a small level of anxiety as it always serves as a reminder of the books I didn't manage to get to in my last season TBR post. In my quest to wean down my TBR list and achieve my GoodReads reading challenge for the year (which does not register rereads), I haven't set aside a lot of time to revisit books I have read in the past. Which is a real shame as I have a lot of books that I have fallen in love with and added to my favourites shelf that I would have to reread if I just get the time. So doing this tag last year was a lot of fun. They always say don't judge a book by its cover. But when the book cover is so pretty, I just get sucked into buying the book and reading it. In this post, I picked ten books purely on how pretty their covers were, not on the quality of their books. I really enjoyed this tag because it was such nostalgic trip down memory lane, remember all those books I read growing up. It was also interesting seeing what others' reading journeys have been like. There are so many bookish goals that I want to accomplish and it was really satisfying writing them all down because now, I have them all in one place for me to constantly refer back to. It'll be interesting to see how many I manage to accomplish in the years to come. I have this scrapbook of random quotes from books, TV shows, movies and famous people that I use as a motivational tool whenever I feel down. In this post, I listed my favourite quotes from some of my favourite authors. Lastly, but certainly not the list, here are my top ten reasons of why I love being a blogger and reader. I love reading. And I love the online book community. Even on the days I feel lazy, or stressed about how far I'm behind on my reading challenge, I remember that I chose reading - it's what I enjoy doing, and it shouldn't be work. What about you guys? Which TTTs did you enjoy writing about the most? OOoh nice picks! I remember some of these! Especially love the book covers I frame as art! I need to do that in my room still! LOL! Great picks! A great list. I enjoyed getting to visit a few of your previous entries. I love the books on your TBR pile because it helps me focus on what books I REALLY want to read and it keeps me on track! I haven't been doing this feature for very long either. I didn't get to do the book covers to frame as art topic, I think I'll save that for a freebie week. Great list! Thanks for stopping by Michelle's Minions!